It was a majestic sight. Go back 30 or 40 years and watch teams defend. The majority of them will feature a type of player that seems to have been lost from the modern game. You’ll see an elegant defender sitting behind the defensive line, picking up a stray through balls from an attacker. As he effortlessly brings it under his control, he marches forward with it, stepping past the other defenders and moving into the midfield zone. From there he acts as a modern-day deep-lying playmaker, initiating the play and spreading it out to the flanks, or playing it forward into midfield or attack. This is the Libero. 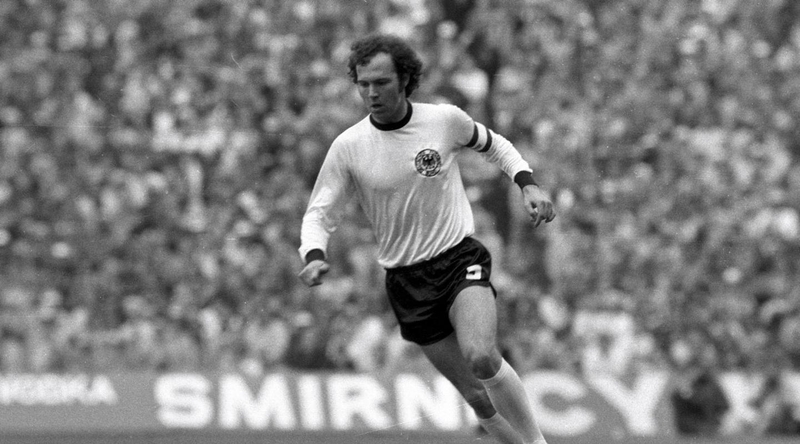 That passage could have been about any number of great players; the late Gaetano Scirea, Velibor Vasović, Ruud Krol, Matthias Sammer or the archetypal libero, Franz Beckenbauer. Unfortunately, these players no longer exist in modern football. There is an argument, quite rightly, that liberos still exist, but that we now call them ‘ball-playing defenders’. However, to liken them to ball-playing defenders is to forget the true artistry of the libero. Perhaps it is part of the development of football in general away from ‘artists’ such as Juan Román Riquelme and towards more system-focused artists such as Luka Modrić, but to suggest that a player such as Chris Smalling is an evolution of Gaetano Scirea somehow seems wrong. Not that these aren’t good players, but the role that they play seems like a regression. With the development of the classic number 10, you can argue that they’ve become more mobile, more tactically aware, and more useful in the defensive phase. With the libero, you can’t argue this. They aren’t more mobile, they aren’t more useful defensively, and they aren’t more tactically aware. Of course, there is a reason that liberos lost their place. Along with German football, the libero is most associated with calcio, and it had become a staple of Italian football since the sweeper became widespread in the 1960s, eventually developing to become the libero after Franz Beckenbauer’s development of the sweeper position in the early 1970s. With his hatred of specialists, it seems fitting that the man who ended the reign of the libero as the cornerstone of Italian football was Arrigo Sacchi during his reign as manager of AC Milan in the late 1980s. Moving from the classic Italian three at the back system with two man markers and a free covering libero, to a highly systematised 4-4-2, Sacchi yearned for the development of universal players who could be the playmaker at any time. Clearly, the libero had no place in this system, and was phased out, with Franco Baresi becoming a standard – if you can ever call Baresi standard – centre back. It is hard to argue with Sacchi’s methods, as they brought the Rossoneri the scudetto and two consecutive European Cups before he and his players became burnt out and went their separate ways. However we must ask why the libero no longer has a place in modern football. Some have argued that the development of the offside rule makes a libero a liability in defence, but surely this is no different to any covering defender who sits a little deeper than the rest of the defensive line, before stepping up to make a tackle or complete the offside trap. Indeed, teams who use a consistent and efficient offside trap are becoming rarer in modern football. So, why can’t a libero be used? 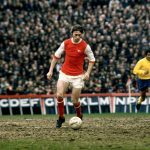 Others have argued that the rapid increase in the aggression of pressing would mean that the libero simply didn’t have the time to pick out passes in the way Franz Beckenbauer or Miodrag Belodedici did. However, this question is nonsensical, as it would imply that any role that requires time on the ball would become extinct as a result of pressing. The playmaker hasn’t become extinct; it has simply required players to become smarter and faster when in possession of the ball. Instead of picking up the ball and looking for a pass, playmakers are now required to look for the pass before they receive the ball, meaning that they can avoid wasting precious time upon receiving the ball. Much like the playmaker, the libero would simply need to become faster mentally in order to adapt to the rigours of the modern game. Furthermore, modern football prioritises the use of a deep-lying playmaker. All of the great sides of the past decade have included a player who can control the play from deep, be it Xavi, Busquets, Schweinsteiger, Carrick, Scholes, Xabi Alonso or Pirlo. Take the most recent winners of the Champions League, Barcelona, and you see a midfield trio of Sergio Busquets, Andrés Iniesta and Ivan Rakitić, all of whom are extremely competent in starting the play from deep. Why can’t the libero do this job? Allowing a defender the license to step up into midfield when in possession could mean that a midfielder could be replaced by an attacker, or that midfielder could push up with encouragement to attack. This would possibly turn a 4-2-3-1 into a 3-3-1-3 or 3-3-3-1. With two defenders to cover the forward movement of the libero and wing backs to cover the wide areas, the libero would in no way be a defensive liability, and could be the deep-lying playmaker without the need for a specialised player in defensive midfield. David Luiz is one such player who could be given a new lease of life in this role. Luiz is somewhat of an enigma and a throwback. Often criticised for his cavalier defending, it is generally felt that he is a liability in a classic back four, with only one other central defender to cover any potential mistakes he makes. Conversely, Luiz has been praised for his ability with the ball, particularly when he steps out of defence with it and moves into midfield. In fact, Luiz was widely praised during the short period when Rafa Benítez played him in defensive midfield during his tenure as manager of Chelsea, and it seemed as if Luiz would be more than capable of controlling the play from this position. Surely, the libero is a combination of all the strengths of David Luiz. He is skilled at stepping up to meet the ball from a deeper position, he is very good at bringing the ball out from defence, and is an extremely capable and creative passer. In the 3-3-1-3 formation discussed above, Luiz could play libero, with Thiago Silva and Marquinhos able to cover for his forward movements. Luiz wouldn’t need to be overly attacking, but merely would need to be able to step forward enough to play the ball into Marco Verrati. There are quite a few players that have the ability to play this role: Sergio Ramos, Mats Hummels and Gerard Piqué among others. It’s also very likely that Sergio Busquets would be fantastic as a libero, with his ability to cover space, read the game and play the correct pass into midfield. 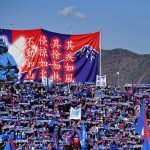 The argument of course is that the libero is extinct for a reason, and this is undoubtedly a fair point, but it is also accurate to point out that several positions have become extinct in football’s history, before making a return decades later. The prevalence of 3-5-2 following the 1986 World Cup was as a direct response to the perceived extinction of classic wingers. In contrast to that, take a look at the top players in world football currently, and there’s an abundance of top wide players, like Cristiano Ronaldo, Neymar, Eden Hazard and Marco Reus. Back threes became extinct midway through the previous decade with the development of the modern 4-5-1/4-3-3, before enjoying a resurgence in the past few years. The regista was a forgotten role in Italian football before Andrea Pirlo brought it back to prevalence, and now the deep-lying playmaker is possibly the most important role on the pitch. Yes the libero is currently extinct, but much like the false 9 is simply a rehash of the deep-lying forward role that was used by many of the great sides of the past, the libero may rear its head again, and regain its place as the classiest of football’s positions. At the end of the day, it comes down to the sport versus entertainment debate, but I don’t see why the libero isn’t both. It isn’t the liability many think it is. If we can play ball-playing defenders, why can’t we play liberos? It would be a loss to football if the libero never returned.